The dualism in the portrayal of ‘good’ and ‘bad’ women in art and literature is remarkable in that, although it has taken many forms through the ages, it never varies in substance. We see it from the Virgin Mary/Eve opposition in the Bible to the ‘good wife’/bunny boiler in the 1987 movie Fatal Attraction. In every case, ‘good’ is the pure, the constant, the self-denying; ‘bad’ is the seductive, the sexual, the temptress. Nowhere do we see this contrast played out more sharply than in the world of 1940s American cinema, in the genre specifically known as film noir. 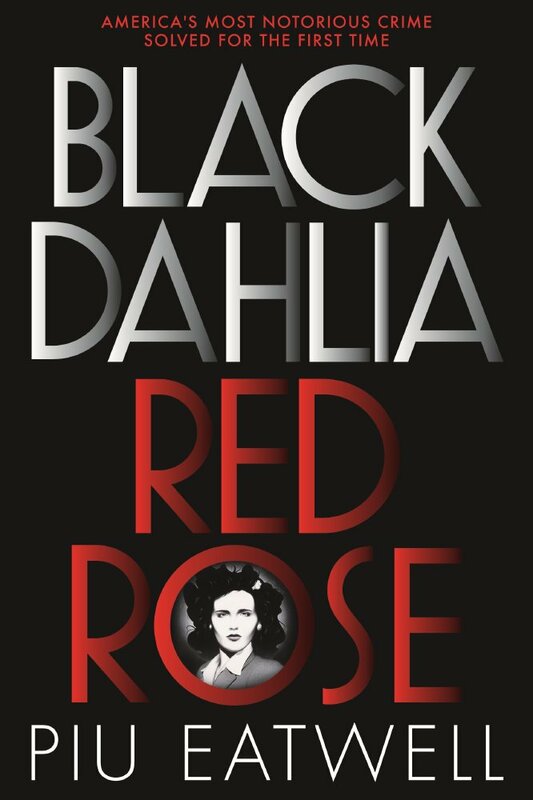 It’s a genre that I love, and which I had occasion to examine more particularly in researching my non-fiction investigation of the Black Dahlia case: the shocking murder of a 22-year old Hollywood would-be starlet called Elizabeth Short, whose bisected body was found tossed on a pavement in suburban Los Angeles in January, 1947. Film noir’s particular incarnation of the temptress came in the form of what is now considered the iconic female emblem of the genre, the femme fatale. Of course, the femme fatale made her first appearance well before the 1940s: as far back as Circe and the Sirens, who bewitched Odysseus’ men; in Morgan Le Fey, the seductive temptress of Arthurian legend; in Keats’ belle dame sans merci; and in Sheridan Le Fanu’s lesbian vampire, Carmilla. But the witty, dark, clever and faithless femme fatales of American cinema of the 1940s brought the ‘dangerous woman’ into a league of her own. We see her in the bewitchingly beautiful and wily Brigid O'Shaughnessy, who murders Sam Spade’s partner in The Maltese Falcon (1941); the beguilingly lovely Alice Reed, whose portrait seduces a married man off the beaten track in Fritz Lang’s The Woman in the Window (1944); and the alluring Phyllis Dietrichson, who leads a young man to murder in Double Indemnity (1944) – to name but a very, very few amongst dozens of examples. Whatever her name, hair colour, or particular catch phrase, the femme fatale of film noir is always three things: devastatingly attractive, sexually provocative, and dangerous to men. Her rejection of conventional feminine traits – obedience, docility, and especially wifeliness and motherhood – mean that she is always morally ambiguous, disruptive to the plot, and ultimately, deadly. Elizabeth Short’s murder tapped straight into these anxieties. Here was a young, beautiful woman from a lower middle-class suburban Boston family, come to Hollywood to be a movie star. Like so many others, she had a free and easy lifestyle: she had many boyfriends and would stay over with a man for a meal, or carfare. What better femme fatale could there possibly be? And so Elizabeth Short acquired posthumous glory in the newspapers as a real-life Brigid O'Shaughnessy, a temptress whose breaking of the norms of womanhood acted as a stark warning to other young women who might be tempted to stray from the path of the light. Of course, not all intelligent and beautiful women in film noir are femmes fatales. One of the most positive and inspiring portraits of a new kind of post-war woman is Betty Schaefer in Billy Wilder’s classic 1950 movie Sunset Boulevard, the young female scriptwriter who aspires to work behind the scenes as opposed to the spotlight-seeking, ageing diva of the film, Norma Desmond, sublimely played by an equally ageing Gloria Swanson. 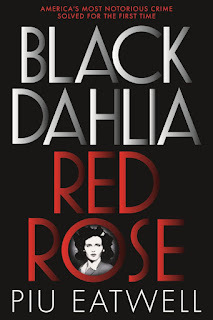 And so, too, in the real-life story I researched, I met Betty’s counterpart in the form of the intrepid female journalist and crime beat reporter Aggie Underwood, who, with her raggedy clothes and steely determination to solve the case, presented a vivid contrast to Elizabeth Short. Aggie and Elizabeth were both female migrants to Los Angeles, part of the city’s “woman problem.” But unlike Elizabeth, Aggie did manage to carve out a role for herself, reaching stardom to become one of the first female city editors of a newspaper in the country. The dichotomy between Elizabeth and Aggie presented a real-life parallel to the fictional Betty/Norma distinction, and so – as with Wilder’s classic – my book also presents a tragic, but ultimately hopeful, vision of the post-war women’s dream.